The original Star Wars was driven by nostalgia for pulp magazines, Saturday-morning serials, and a simpler era with clear-cut heroes and villains. 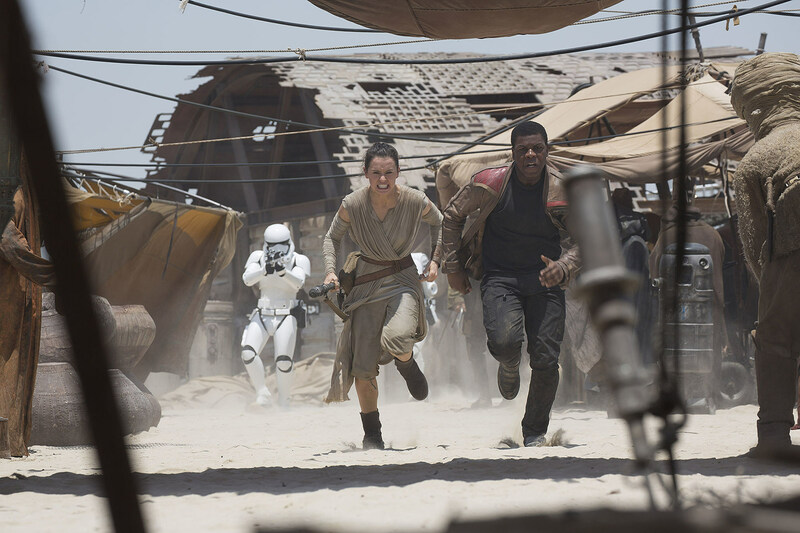 The new Star Wars is driven by nostalgia for the original Star Wars, and a simpler era when that title evoked words like “adventure” and “excitement,” and not words like “the taxation of trade routes,” and “Jar Jar Binks.” The characters in Star Wars: The Force Awakens are all searching for something of great importance to the galaxy far, far away. I won’t reveal what this MacGuffin is, but I will tell you what it represents: that old Star Wars magic. Can director J.J. Abrams and the rest of the saga’s new creators find it? They can and do on quite a few occasions, though somewhat surprisingly, The Force Awakens’ finest moments mostly involve its new characters, and not its beloved returning cast. Though longtime Star Wars fans will flock to the theaters to reunite with Han Solo (Harrison Ford), Princess Leia (Carrie Fisher), and Luke Skywalker (Mark Hamill), they might be surprised just how quickly the franchise’s new generation finds a place in their heart. I certainly was. That new generation includes Poe Dameron (Oscar Isaac), a great pilot in the galactic Resistance, Finn (John Boyega), a Stormtrooper of the First Order who defects and joins the Resistance, Rey (Daisy Ridley) a scavenger living on the desert planet of Jakku, and Kylo Ren (Adam Driver), a Force-powered knight of the First Order. They all meet by chance (or perhaps destiny) after Poe is dispatched to Jakku to retrieve some crucial intel for the Resistance. When the First Order (including Finn and Ren) interrupts Poe’s rendezvous, he stashes the data in his droid, BB-8, which soon wanders into the hands of Rey. Her encounter with the cute robot thrusts her right into the middle of a battle for the fate of the galaxy. If that sounds a lot like the setup of the original Star Wars, it should; it’s the setup of the original Star Wars. This is not an anomaly in The Force Awakens, which contains too many homages (if not outright thefts) from the first Star Wars to count. 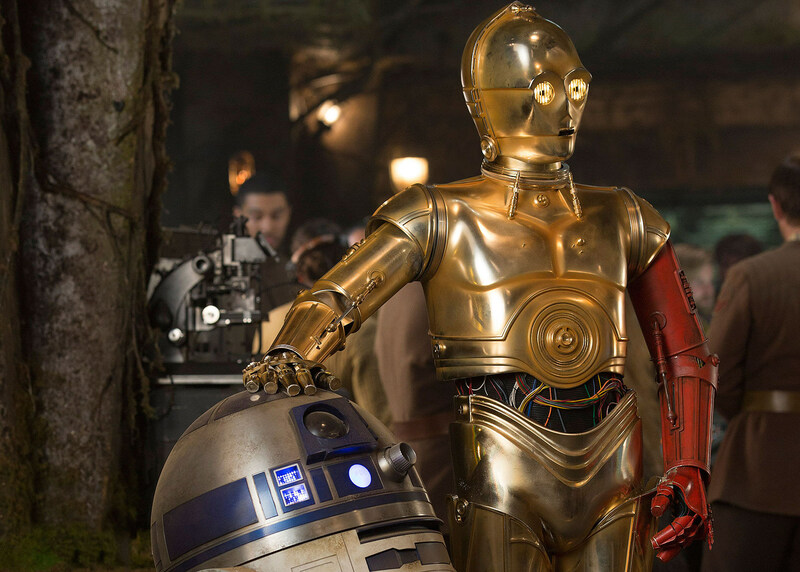 There’s an orphan living in the desert, and a droid with valuable information that could turn the tide in a war. There’s a hidden rebel base. There’s a space cantina full of weird aliens, with the Millennium Falcon parked nearby. There’s a planet-sized weapon-slash-base, and a trench attack on it by X-wing fighters. And these are just the examples that aren’t spoilers. Star Wars nerds may note that these movies are famous for their repeating motifs — Anakin Skywalker loses his right hand in Attack of the Clones, then chops his son Luke’s hand off in The Empire Strikes Back — and for lifting from primal myths that have been told and retold for thousands of years. They work precisely because they are familiar. But if not for the presence of old (and now older) characters like Han Solo and Leia, it would be very easy to mistake The Force Awakens for a loose remake of Star Wars, rather than a sequel to it. J.J. Abrams famously prefers the “mystery box” approach to making and marketing movies; building big questions in the audience’s minds that can only be resolved once they buy their tickets and head to the theater. The Force Awakens might be the first J.J. Abrams movie where he doesn’t even open the mystery box for the paying customers. It’s not clear who the Resistance is or how they connect to the Republic (which is mentioned but not seen) or how or why this evil First Order came into existence. Tons of big threads are left dangling for Rian Johnson to continue in Episode VIII. One huge storyline is barely resolved at all — and when it is, it’s only through the grace of a literal deus ex machina that has nothing to do with any of the events that’s transpired for the last 130 minutes. At a certain point, it becomes good guys fighting bad guys because good guys are good and bad guys are bad, and that’s it. Odds are, though, few audiences will complain about the lack of subtext or political allegory, because what’s left in their place are a bunch of thrilling space chases and battles, lightsaber fights, and plenty of intrigue about the post-Return of the Jedi lives of Luke, Han, and Leia. Abrams hooks you early with a string of great action sequences, some surprisingly big laughs, and a great feel for the characters, both old and new. Viewers looking for Han Solo acting like Han Solo will get it. (They’ll also get John Williams’ magnificent score, which has aged even better than Harrison Ford.) And if nothing else, Abrams struck gold with his new cast. Isaac has the swagger and luxurious hair of a young Harrison Ford. Boyega brings real weight to Finn’s repeated moral dilemmas; Driver delivers equal complexity in his performance as Kylo Ren. And Ridley has one of the most expressive pairs of eyes I have ever seen on a big screen. They pull you in like a tractor beam. It’s nice to see Ford, Fisher, and Hamill, but The Force Awakens really belongs to Ridley, Boyega, Isaac, and Driver. The screenplay by Abrams, Lawrence Kasdan, and Michael Arndt is almost respectful to a fault of the original trilogy, and at times, particularly in the final act, it gets bogged down in fan service. The film is at its best in its first forty minutes, before the classic cast returns, and the new stars get to strut their stuff. Although Star Wars has always been about the past, The Force Awakens is ironically at its best when it looks to the future.